I enjoy working in the social media space but I have noticed a very real and increasingly apparent ‘dumbing down’ in the space. The overdone ‘Top Tips For Twitter’ blogs, ‘40 Influencers You Should Follow For X, Y or Z’ articles, They no longer grip my attention like they used to. My attention is elsewhere. As controversial as it may sound and while I know these articles still have a big place for business, personally, I just want more. I want to know what you ache for, what you stand for, I want to understand you, I want to know what your greater purpose is. I want more than for you to sell me something or to have me jump on board your latest course or product offering. I want more than to be expected to believe you when you say someone is an influencer because you say they are. I want to know the reason why my attention should be given when it is limited and, I want to know why I should be considered worthy of your attention when you very kindly give it to me. Believe me, it has led me to a lot of soul searching, self understanding and evaluating why I’m no longer motivated or captivated by the content that used to captivate me. It is not just blog posts, it is live video, live stream, any form of content where it is content for contents sake. I believe that my personal need for understanding, for finding a much deeper meaning and purpose in what you stand for has developed from the overwhelming amount of content that is being delivered to me daily across various social networks. I want and crave something different. In understanding this myself, it has impacted upon the relationships with my clients and how we are able to be far more creative in connecting, growing and deepening relationships with their clients ultimately creating much better experiences for them. In the age of the attention economy, where my customers are everything to me, it becomes increasingly difficult to build loyalty when there are so many businesses all vying for attention. Loyal customers keep my business going and growing because they help me to plan based on our relationship, their loyalty to me and ultimately, their returning revenue. But loyal customers don’t just appear on day one. Attention, trust, loyalty and relationships DO NOT happen overnight and they do not happen without understanding. *Cue the sighs and groans* that I hear from the many cynics who still believe that Snapchat is not for anyone other than teenagers. Generally this comes from people who love to bash what they don’t understand. What I would like to put to you, is that Snapchat is worth understanding. I am a huge advocate for Snapchat. I have spent the past few months studying the platform, watching it’s increasing growth, learning from the new features and functions that the platform is constantly developing. More importantly however, I have learned from watching how people use it, from studying and tuning into my own emotions when I watch the stories of people who I can gratefully say have not just become connections, but also friends and in some cases people who I have done business with. I have learned from understandingwhich has led to deep and meaningful conversations that I am lucky to have on a daily basis. What Snapchat does is allow me to understand, to deepen my understanding and not only see, but also to experience the content that I have been craving. It’s not just Snapchat ‘the platform’ that does this, it is what it facilitates for it’s content creators. However, the way I consume content here is an experience in itself. I am highly engaged, interactive and drawn to consuming content in this environment. 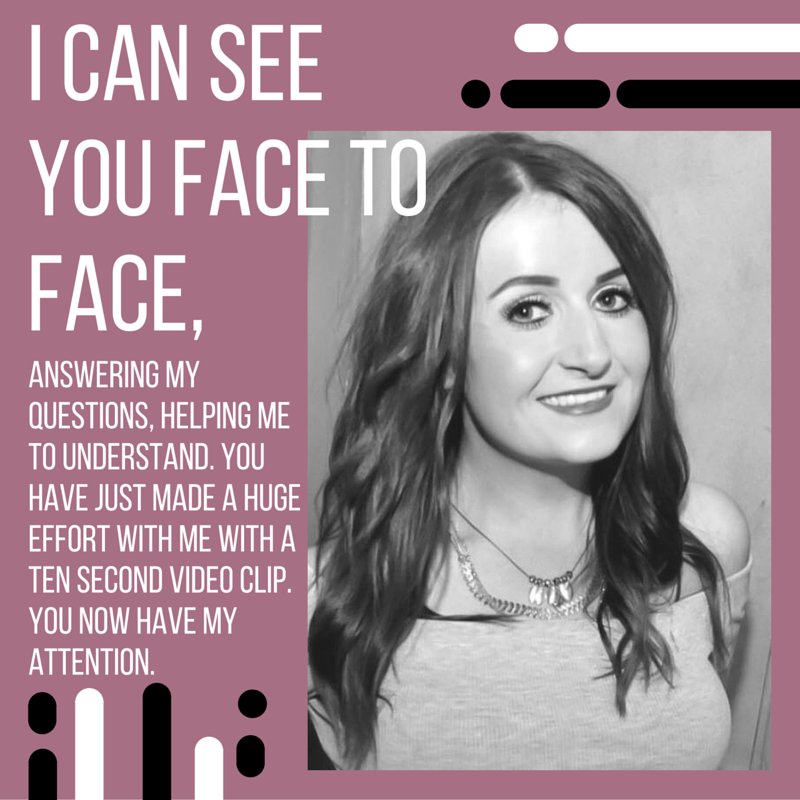 I am stimulated by both the content I watch and what the platform facilitates in being able to progress my understanding through messages, video and image chatsthrough the private messaging facility. I have purchased more impulse products through Snapchat over the past three months than I have from the high street or any other form of online promotion that I have seen, because, you made an effort with me. You went deeper and allowed me to understand you. By understanding you, I wanted to buy from you. I’m sure many cynics will be saying ‘that’s great if you want to buy from college students’ . Not the case, at all. Sure, Snapchat has a large young user demographic, but it really is a cynical attitude that puts Snapchat down to just that. Snapchat is what you make it, you choose to connect and consume who you want to consume content from. By the day, I am seeing businesses, brands and public figures jump on board and I am connecting with them in a way like I have never been able to before. Do not underestimate the power of that. I get to see the causes that are close to peoples hearts, I get to see how individuals, businesses and brands are using the platform to educate and inspire. If there is something I don’t understand, in an instant, I can swipe across, ask a question and further my understanding of something very quickly. In a culture where technology has made me want, need and require answers or solutions very quickly, in a culture where I am able tap into Uber and have a car with me within minutes, Snapchat offers me a similar experience as a consumer. The answer may not be immediate, but I am in control to ask immediately. The fact I can send a video to do this is so simple and more often than not, it usually returns a compelling video response. I am more connected to you by being able to watch your response. I can see you face to face, answering my questions, helping me to understand. You have just made a huge effort with me with a ten second video clip. You now have my attention. This is exciting. The fact I feel this connection and experience when I am consuming your content and developing those conversations with you, means that my clients and potential clients can too, potentially feel this way consuming my content and having this experience with me. It offers the ability to deepen understanding. It opens up a door for quicker connection to develop relationships. While Snapchat is a one to many experience within the public story section and this is where you will initially capture my attention with the narrative and story through the content you create, the one to one experience is invaluable, that’s where the real experience happens. Where you have my attention fully and I have your attention fully, for those few seconds or minutes or however long it may be, magic is happening. Going back to the wise words of Leonardo Da Vinci ‘The Nobelist Pleasure Is The Joy Of Understanding’ . When there is understanding there is a much better foundation for any kind of relationship and the possibility of developing a business relationship. When attention is not guaranteed, the least I can do is provide you with depth, to help you to understand, to make extra effort, to value you, to go deeper and answer questions, to listen to you, to understand you, to value the time you have given to me and when you feel that I have done all of those things, only then, I believe, you are able to make the decision if I am worthy of your attention.